What are off-label medications, and is it safe to take these drugs? In the United States, we have many prescription medications available to treat virtually every disease. Physicians have the freedom to prescribe any medication they see fit to aid a patient. The U.S. Food and Drug Administration (FDA) does not govern medical practice. So, while they hold manufacturers to strict guidelines about who marketing campaigns may target, physicians are not held to those same mandates. They may select any medication for any patient. Mayo Clinic researchers define off-label prescribing as “prescribing currently available and marketed medications but for an indication that has never received FDA approval.” This means the drug has been tested and approved for some use, but it is then prescribed to treat a disease for which it does not have approval, in a different dosage than standard or in a different patient population than intended. 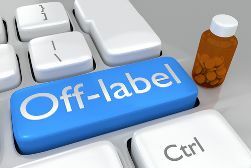 Studies state that off-label prescribing is very common, with one study claiming that as many as 20 percent of prescriptions are off-label. Last resort. In some cases, the patient is suffering from a terminal illness, and his doctor will try any treatment that may ease symptoms or possibly improve health. Other medications in the class are approved for that use. If another drug in the same class does have FDA approval for an additional use, physicians may proceed to prescribe any drug in the class for that use. Lack of population data. The drug may not have specific approval for a specific population, such as children, pregnant women or elderly patients. For example, the narcotic morphine is not FDA-approved for use in children, but it is very commonly used by pediatric doctors. Anecdotal evidence. Information from other doctors in the field could prompt a physician to try an off-label prescription. Are Off-Label Medications Safe to Use? While there have been few reports of off-label medications causing serious harm, there is usually just not enough scientific research available to say with certainty whether off-label drugs are safe or not. In many cases, only financial considerations have kept manufacturers from pursuing additional FDA approval. 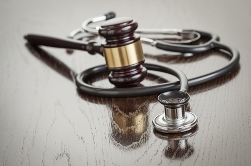 However, researchers acknowledge that due to the uncertainty, physicians could be held liable for complications that occur when a patient is prescribed an off-label drug. Experts encourage patients to ask physicians if a medication is being prescribed to them off-label. If it is, patients should find out why specifically their doctor wants to prescribe the medication and if there are any FDA-approved drugs that could be alternate options. While many commonly prescribed off-label drugs are considered safe, others can cause complications and harm. If you or someone you love suffered injuries after taking an off-label drug, you may be entitled to make a claim. Chat live with a member of the experienced legal team at the Tapella & Eberspacher Law Firm to learn more today.